As Sri Lanka’s new government takes shape, the country’s reckoning with its past looms on the horizon. Rajavarothayam Sampanthan, the leader of the Tamil National Alliance (TNA), has become the leader of the opposition, a position not held by an ethnic Tamil since 1983. TNA holds 16 seats in the 225-member parliament. The future for recently ousted president Mahinda Rajapaksa remains unclear, although he’s now a member of parliament. Sirisena has been strengthening his hold over the SLFP since the conclusion of the parliamentary election. Indeed, the former president has far less leverage now than he did in the run-up to the parliamentary vote, when he was leading the campaign for the United People’s Freedom Alliance (UPFA), a political alliance led by the SLFP, and when a UNP electoral victory was no sure thing. The new government’s reform agenda is wide-ranging, although some of next few weeks are expected to be spent concentrating on foreign relations and the government’s plans for its accountability mechanism (to deal with wartime abuses). The 30th session of the U.N. Human Rights Council begins on September 14 in Geneva. 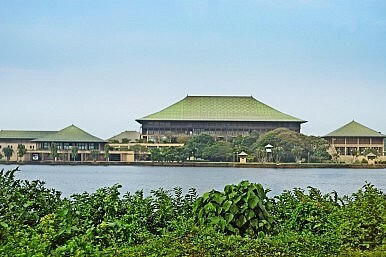 This session is hugely important for Sri Lanka’s new government for a couple of reasons. First, the Office of the High Commissioner for Human Rights (OHCHR) is set to release its report that focuses on wartime abuses in Sri Lanka. Some observers may pay particular attention to the recommendations laid out in the OHCHR report. Second, the United States will sponsor yet another resolution on Sri Lanka. However, Washington has made it clear that, unlike in past years, the resolution is intended to be supportive of the newly elected government. American officials have indicated that they want to work with Colombo on the resolution. The significant shifts in U.S.–Sri Lanka relations since January are irrefutable. In the weeks ahead, those changes are sure to be front and center. With an important UN Human Rights Council session on the horizon, Colombo’s plan for ‘accountability’ is hotly debated.